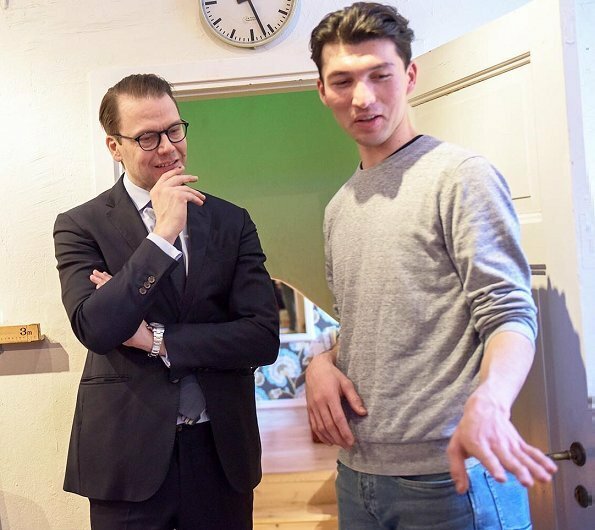 On January 24, Thursday, Crown Princess Victoria and Prince Daniel of Sweden visited the Stockholm City Mission (Stockholms Stadsmission) and families that host lonely young people at their homes. 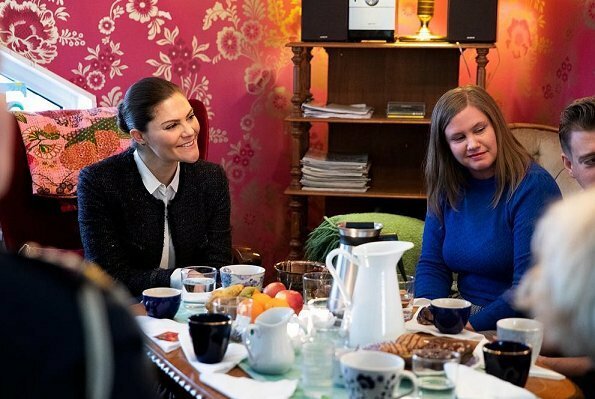 During the visit, the Crown Princess couple received information about the Fadderhem which is a sponsor home project aiming to find accommodation for refugee young people who are below the age of 18 and who go to school. There are more than 100 homes in Stockholm, which are a part of this project. 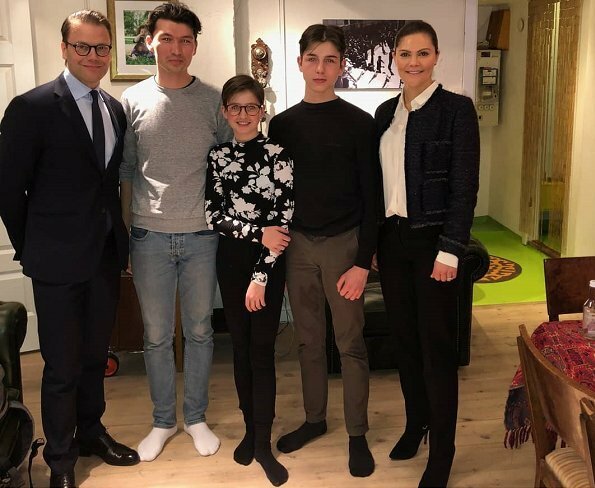 The Crown Princess Couple visited Harell Poznic family who has had Mohammed Ibrahimi as a resident at their home for a year. Crown Princess Victoria is the patron of the Stockholm City Mission (Stockholms Stadsmission) since 2010. What a wonderful atmosphere on this picture.